I'm trying to get motivated to pull out the holiday decorations today. Ever since I've started the business, I just have a hard time getting in the holiday spirit. It's been Christmas at the barn for the last month, and before that, I've been unpacking and pricing Christmas items for what seems like forever. This morning while driving, I actually switched the radio off of the holiday station to put on Radio Disney. My choice. Not my children's. I decided to scroll through some of my Christmas photos to get some inspiration. We haven't gotten our tree yet, but I'd like to have the rest of the decorations up within the next few days. 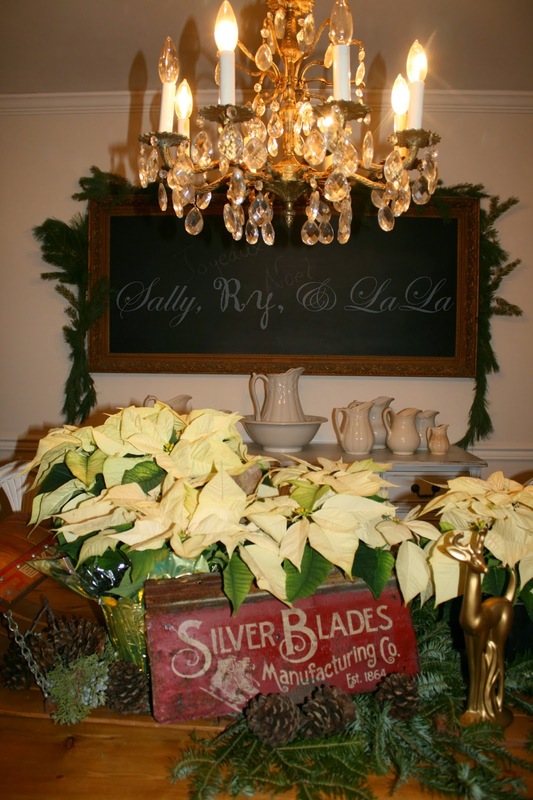 I put together this vignette for our Holiday Bash at the barn. The sweet girl pictured with Santa is my mother. 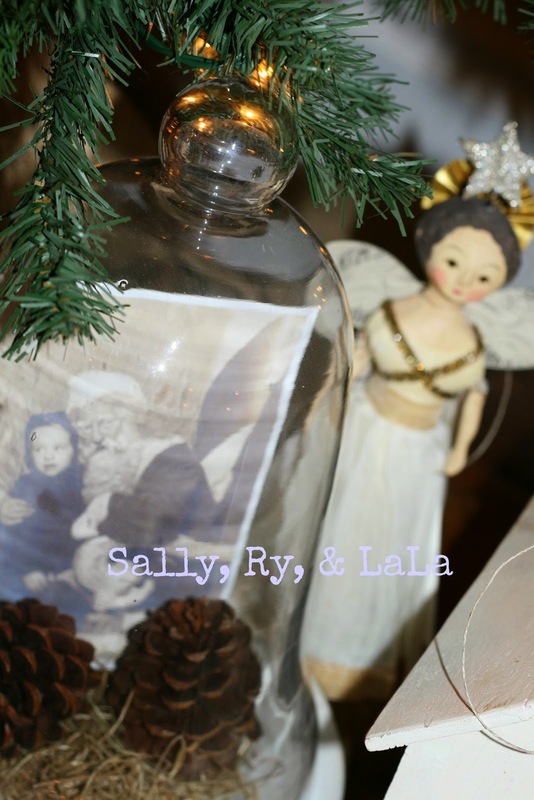 Using family Christmas photos when decorating adds a personal and nostalgic touch to your holiday decor. Over the last few years, I've started using more and more fresh greens and poinsettias. 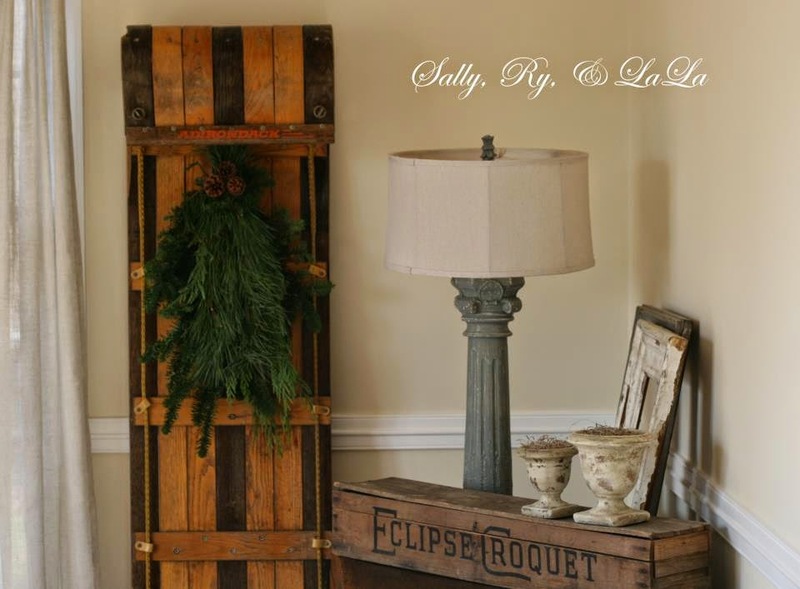 It's a simple way to spruce up vintage seasonal items, such as sleds and toboggans. 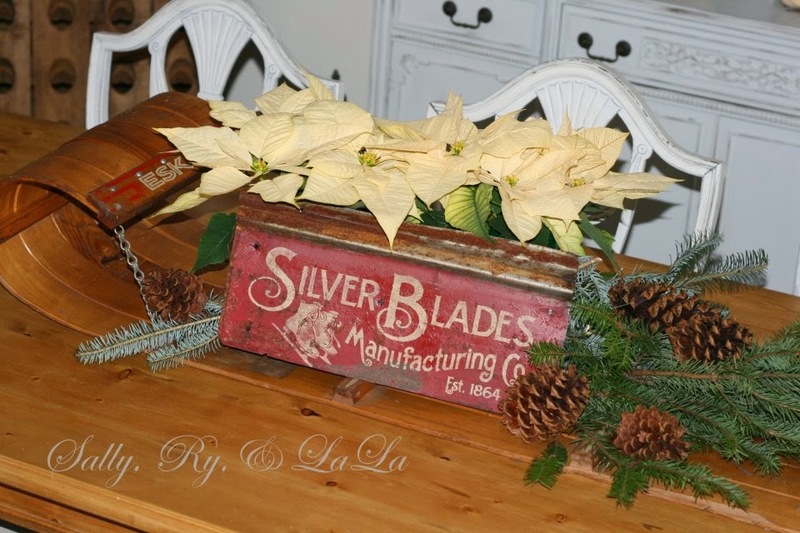 Smaller toboggans and sleds make beautiful centerpieces. Hoping you are able to find whatever inspires you this season!